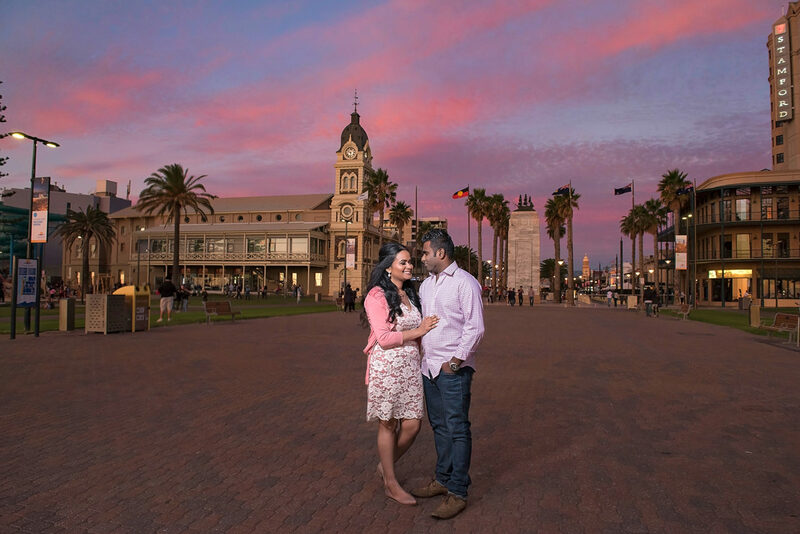 Chamari & Mahen had their very first date in Glenelg. From this first date, their relationship grew from strength to strength becoming inseparable. Each day they fell more and more in love with each other until they both decided that they have to spend the rest of their lives together. Nothing would make them more happier. With Glenelg being such an important part of Chamari & Mahen’s love story, it was only fitting to do their engagement shoot at this very location. It was beautiful day with perfect weather and we had so much photographing these two.